ALL DESIGN SUBMISSIONS CREATED BY ACREATION DESIGNS IS PROTECTED BY ALL FORMS OF COPYRIGHTS AND TRADEMARK LAWS. NONE OF THE DESIGN SUBMISSIONS CREATED BY ACREATION DESIGNS SHALL BE COPIED, DUPLICATED, OR DISTRIBUTED IN ANY MANNER (ELECTRONIC, WEB, OR PRINTED) WITHOUT CONSENT. ANYONE WHO GOES AGAINST THE FOLLOWING IS LIABLE AND SUBJECT TO LITIGATION. "Great work as always! Thank you for your support." "Thanks for the good work, as always!" "Job well done under pressure! Thank you!" "Great experience with Acreation Designs! We appreciated the designer's patience in making multiple changes to the project and the quick replies. We look forward to working with Acreation again." "Acreation's design is contemporary and clean. The designer was able to work under pressure and tight timeline, yet delivering quality work. 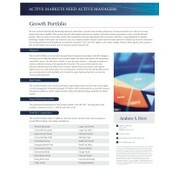 We are very happy with Acreation's deliverables." "good job with the power point"
"Excellent job, proper follow up my comments/remarks"
"Great design of logo and PowerPoint template despite tight schedule. Very easy to work with. " 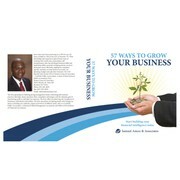 "Acreation Designs did an AMAZING job updating our company's brochure. They were very patient with us and guided us every step of the way. We plan to return for future designs!" "We were thoroughly impressed by Acreation Designs' work. They expertly captured the essence and energy of our brand. We'll definitely be doing repeat business with them in the future." "Acreation Designs created a company fact sheet based on the same style and feel of the presentation they created for us and we are happy with the end result. I also appreciate the patience with our revisions. Thanks." "Acreation Designs exceeded my expectations! Fast responses and works with you until you're satisfied. I will come back with more projects." "We like the look of our new template! Very excited to start using it. " "Excellent work! Very talented designer and incredibly willing to make any changes we needed. We will definitely use for all of your design needs. " "Acreation Designs worked with my ideas as well as their own. Their designs helped revamp an old presentation I use often and made it more relevant! Thank you!!!" "Acreation Designs is great! Very talented, professional, and prompt. We would love to work with him again. " "Knocked it out of the park to create a fresh, clean design that was exactly what I was looking for - the other designs didn't even come close. Easy to work with, responsive and cared about the task at hand, thank you!" "Very serious and reactive...excellent designer to work with. Thanks "
"Excellent work- quick turnaround, very professional communication. We are very pleased with the work!" 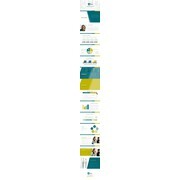 "Awesome designer, great skills and effort put into redesigning our presentation. Looking forward to working together again for sure!" "Great job! Designer was responsive to our edits and came up with a beautiful design." "Excellent work. She is a very talented designer!!" "Nice working with you. Great job"
"Very professional, responsive, and communicative. I'd work with this designer again." "Amber, helped me out of a difficult situation. The stakeholders on this project completely changed direction midway through the 1st round of the contest. Amber was able to provide design asset files quickly for use as part of the new look and feel. A+ w..."
"Happy to recommend. Great work. We went through several iterations and akreationz was very communicative. I wonder if this guy ever sleeps actually :-)"
"Very talented artist who always makes sure you are happy with the final product. Great communication great work and we have done several jobs with this artist"
"I am very impressed with Akreationz, I had to do quite few revisions to make my final decision and he was more then happy to help when he could. I am very very happy with the final product and am very happy to have him win my job as he was more then wil..."
"Great brochure. It's just what I hoped for!" "Very easy to work with. Incredibly adaptive & responsive to my needs and suggestions. Very receptive to feedback. Very punctual. A very talented, creative designer. Thank you!" "Excellent work! Very helpful and easy to work with."